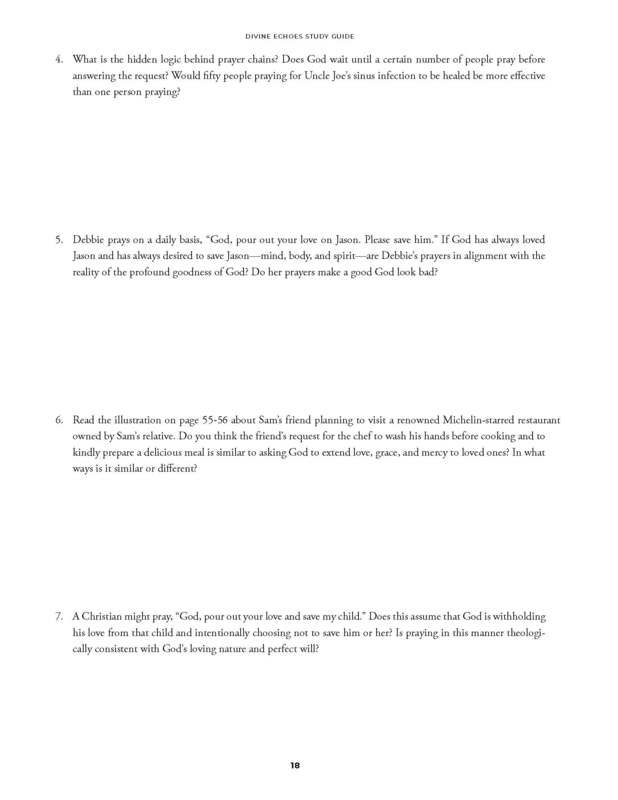 Welcome to this study guide for Divine Echoes! It is not too often that we take the time to contemplate a sacred practice that has been around for millennia—a practice that many of us frequently engage in but seldom question. 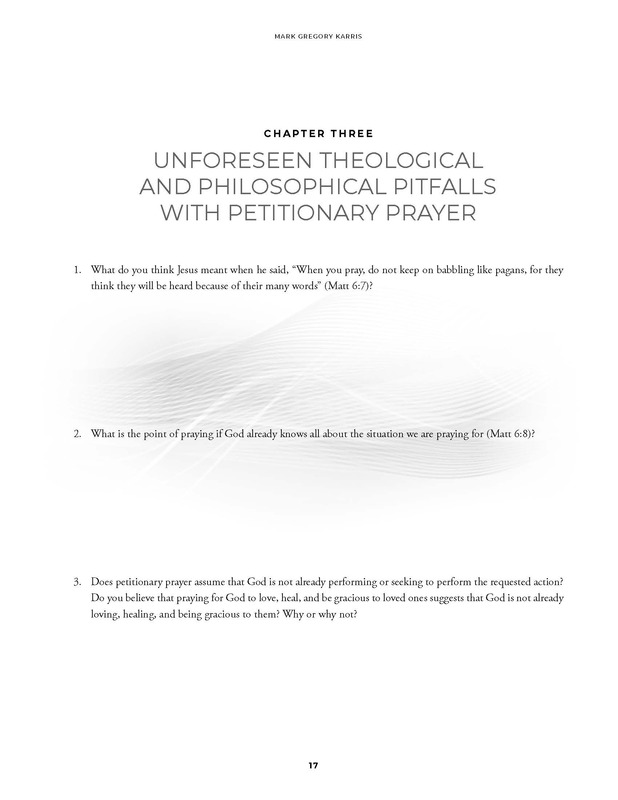 As I share in my book, although I am biased in my own commitment to conspiring prayer and the foundational theodicy it is built upon, my desire is for you to work through your own theology of prayer. My hope is that these questions and the conversations that come from them take you to rewarding spiritual and theological destinations you could not have imagined.